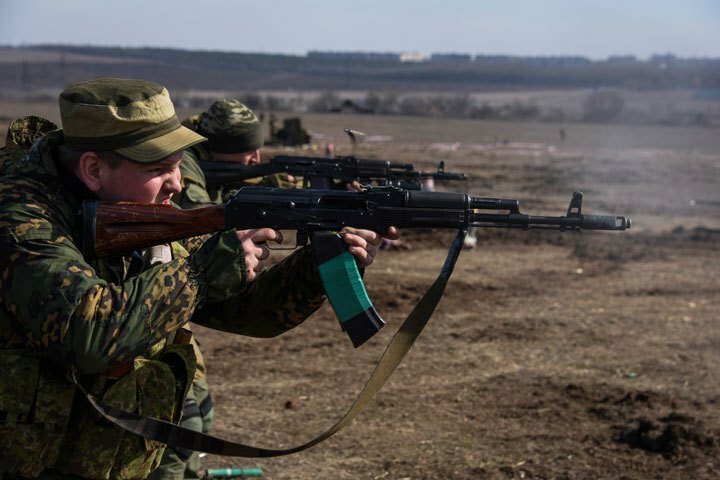 During 04.02.2015, the Russian-terrorist troops in Donbas continued shelling and armed provocations in a number of sections along the demarcation line. The gravest situation was observed in the Seaside [Mariupol] and Donetsk sectors; the terrorists were particularly active along the Bakhmutka motorway. 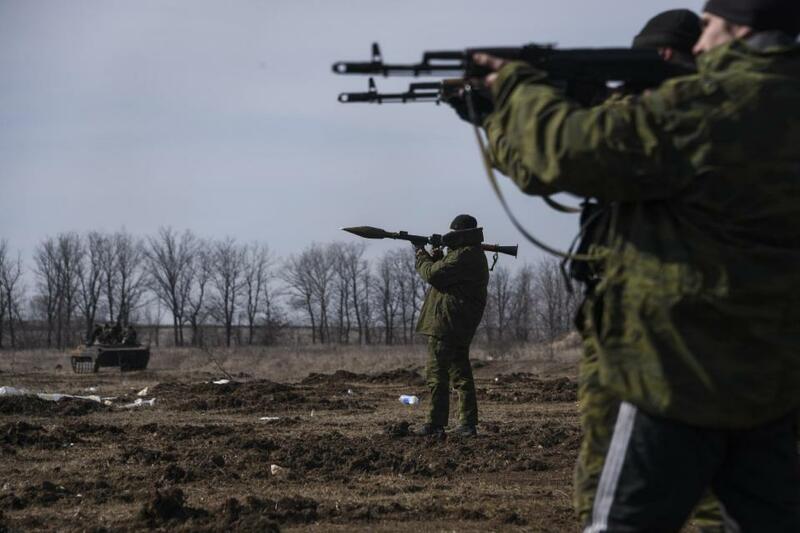 In the vicinity of Shyrokyne settlement, the terrorists shelled the stronghold of Ukrainian forces twice, using 82-mm mortars, and trying to regroup their forces and resources at the forefront under the cover of mortar fire. Also, the Ukrainian positions in the vicinity of Opytne and Avdiivka were subjected to heavy fire, from mortars and automatic side arms. In the mentioned area, groups of insurgents approached the positions of Ukrainian troops three times to fire on them. We also observed Russian-terrorist military activity in the Artemivsk sector. During the last 24 hours, insurgents in the vicinity of Mayorske, Leninske and Luhanske have been continuously firing on the Ukrainian positions using grenade launchers and small arms; the terrorists also used 82-mm and 120-mm mortars. 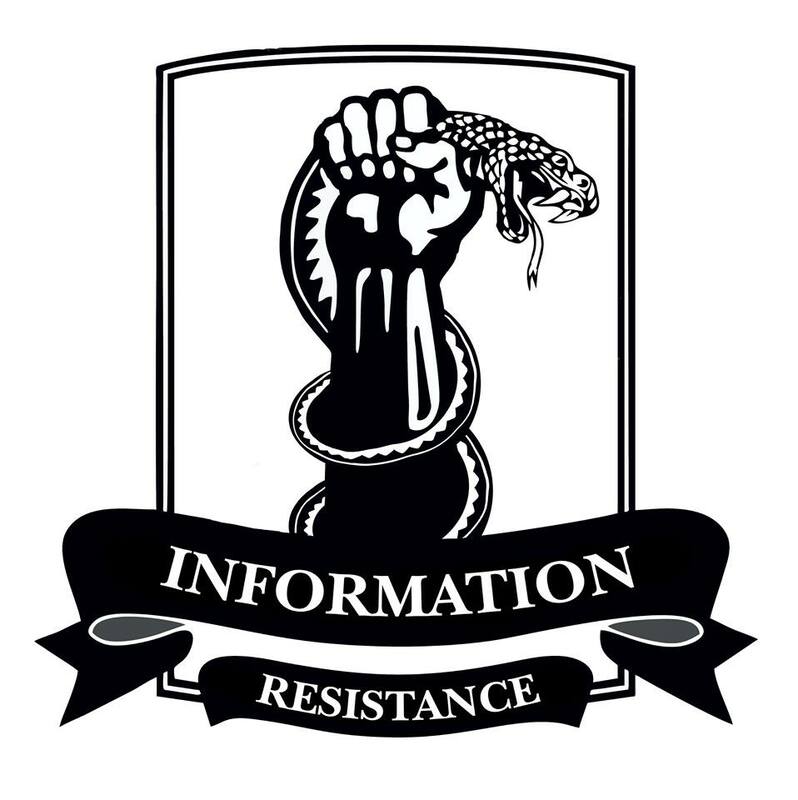 Russian-terrorist troops continue using their subversive and reconnaissance groups in several ATO sectors at once, attempting to penetrate the tactical rear of the Ukrainian troops in order to explore, sabotage, or attack the Ukrainian positions. Such cases, among others, occurred in the Severodonetsk and Artemivsk sectors, in the vicinity of Volnovakha (Hranitne settlement to the south of Donetsk), and in the main Donetsk sector. In addition to the fire strikes at the forefront, the terrorists keep regrouping their forces, improving the combat capability of their units, accumulating technical resources and supplies, and increasing the overall efficiency of their logistics. Specifically, there is an ongoing intensive effort to resupply the two main combat teams of Russian-terrorist troops, gathered in the northern sector of the ATO zone: in Horlivka and on the Pervomaisk-Stakhanov stretch. We have noticed two terrorist “reinforced battalions” transferring to these sectors in the course of the last 4 days. Usually, these “battalions” consist of “infantry” on board of cars, but we also observed the regular reinforcement of these tactical groups with military equipment, which is being transferred in small portions, and separately from the “infantry.” At the moment, the Horlivka and the Pervomaisk–Stakhanov tactical groups have received 1-2 tank companies (mostly using repaired and recovered used tanks); plus, 26 armored combat vehicles (in addition to the military equipment previously concentrated in these sectors). Some of the armored vehicles are deployed deep behind enemy lines. In the Seaside [Mariupol] sector, we have observed the insurgents receiving a significant amount of anti-tank weaponry (mainly, 9K111 “Fagot” [Nato reporting name AT-4 Spigot] anti-tank missile systems and SPG-9 “Kopye” mounted anti-tank grenade launchers). Most of this equipment is transferred by vehicles and is grouped into special anti-tank fire groups. At least 4 such groups were spotted in the area between Pavlopil and Shyrokyne. Over the last 24 hours, approximately 28 motor vehicles, plus 8 vehicles marked as special machinery and equipment, transferred from the Russian Federation to the occupied territories of Donbas (in addition to the so-called “humanitarian convoy”). Most of these vehicles traveled along the “northern” route: via Alchevsk, Debaltseve, and Yenakijeve. Some supply convoys were also spotted on the Krasnyi Luch – Debaltseve stretch; as well as another 2 motor convoys (6 and 7 tented army trucks) in the vicinity of Shakhtarsk. Moreover, construction machinery was transferred via Stakhanov and Alchevsk, to the forefront insurgent positions in the vicinity of Bakhmutka motorway (namely, 1 grader, 1 bulldozer, and 2 excavators, moving in the direction of insurgent positions, as part of supply convoys, as well as independently). Eleven train cars carrying ammunition, food provisions, and inventory arrived at the approaches to the Debaltseve railway station, where a temporary unloading point has been set up. Russian-terrorist troops are fortifying their positions around Krymske and in the Artemivsk sector. Pro-Russian insurgents participate in a military training exercise near Yenakijeve, in the Donetsk region of eastern Ukraine, March 2015. Mstyslav Chernov / AP photo. Source.